With the goal to lose baby weight, I decided it was time to turn to boring water into delicious fruit infused water. 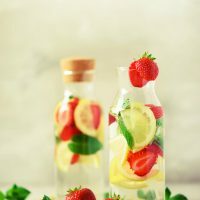 This Strawberry Lemon Infused Water Recipe is the perfect way to satisfy your thirst and tastebuds while getting in your daily water intake. I don’t know about you but I enjoy flavored water. To me, it just has more of a personality and kick rather than plain old water. For long time, I was purchasing flavored water packets to give my water a boost but after reading they contain Aspartame (which is a substitute for sugar and it’s been known to cause weight gain along with other health issues) I ditched those. So, I decided to find a way I could enjoy flavored water naturally and I did! 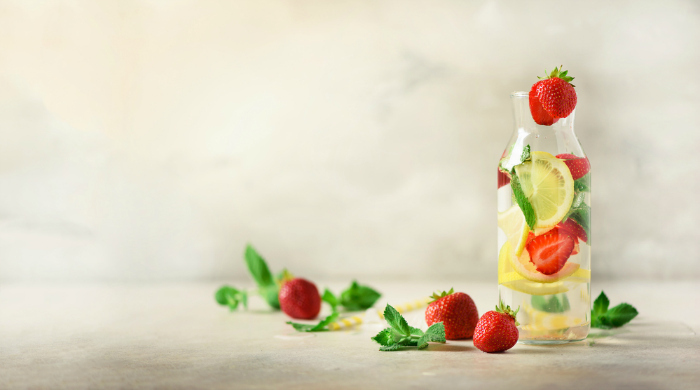 This Strawberry Lemon Infused Water recipe tastes as great as it looks. It adds just a little sweetness and flavor to your water which is perfect if you don’t like bland, tasteless water. The best part is, it’s healthy! 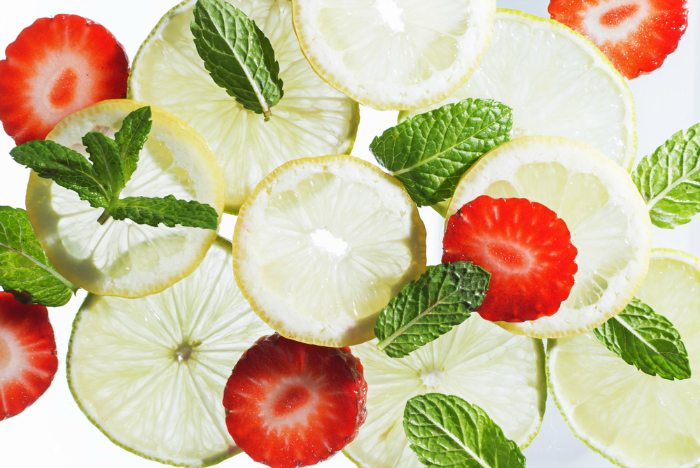 The ingredients in this recipe are known as a way to Detox your body. One of the many questions I’ve been asked is “how much water should I drink daily”. The quick answer is it is recommended to drink (8) 8-ounce glasses of water a day, or, 64-ounces of water a day. 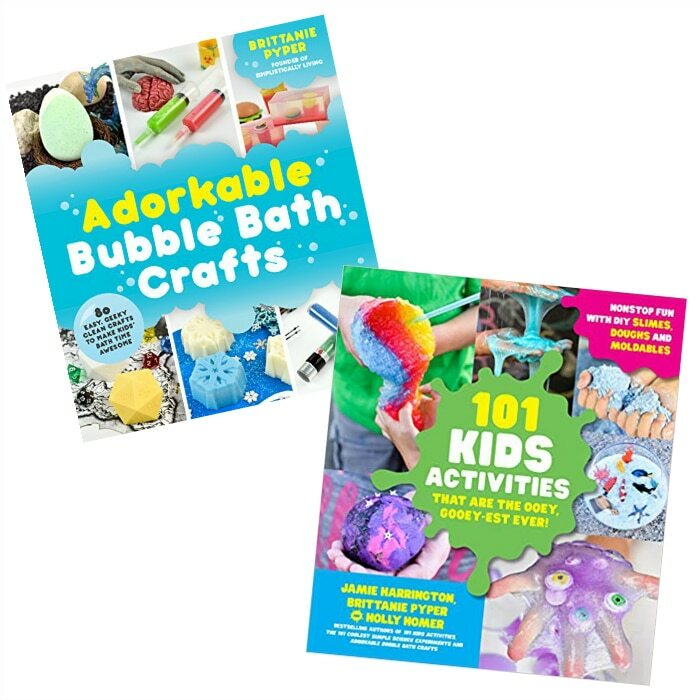 However, this is pure recommendation based on the average adult’s needs. Everyone is different, so, most recommend to drink to thirst. Meaning, if you are thirsty, drink until you are no longer thirsty. If you’ve been looking for a way to increase your daily water intake and want to mix it up, then this is a perfect solution! The recipe is below, enjoy! 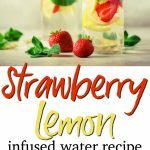 Strawberry Lemon Infused Water Recipe - a detox water recipe. Wash the fruits and mint leaves thoroughly. Next, cut up strawberries into halves and cut up lemons in circular pieces. You can just tear the mint leaves or leave them whole. Fill up the pitcher full of water (leaving room for ice to be added). Place all the sliced fruit into the water and add ice to the top. 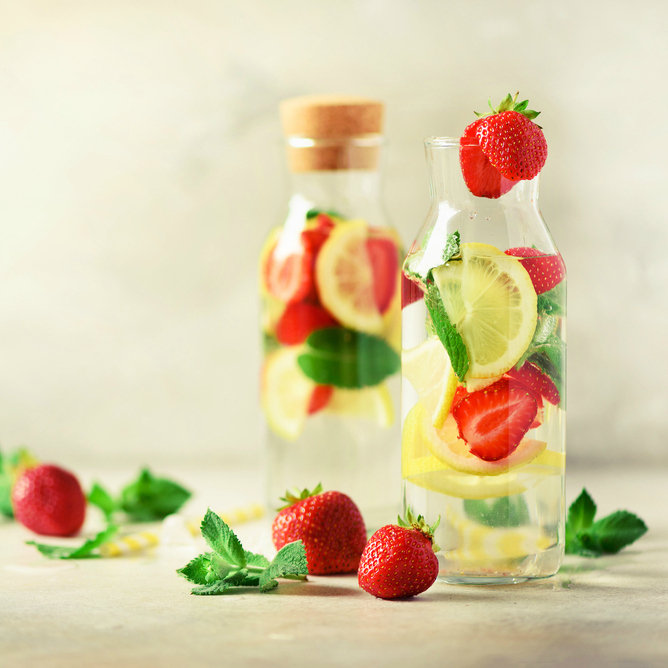 Refrigerate for at least 24 hours to allow fruits to be infused in the water. 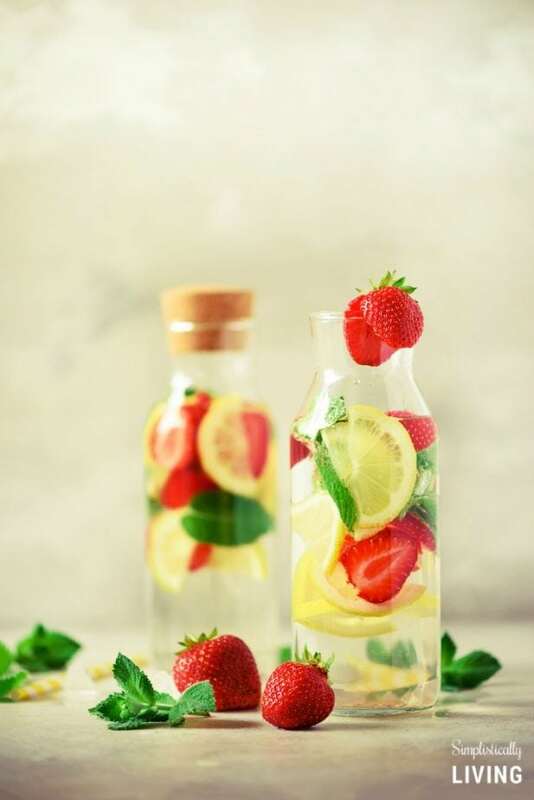 Enjoy your delicious Strawberry Lemon Infused Water! Assuming you use a 32 oz. pitcher, this will make roughly (4) 8-ounce glasses. Yield: 4 Serving Size: 8 oz. I really want to make this, how many Strawberrys did you use for 2 Qrts? Hi Jason! So glad you want to try it. The amount of Strawberries you use is entirely up to how much flavoring you want. I used an entire 1 pound container of strawberries but you can use more or less.